When shopping for HVAC air filters, you have probably noticed there are different styles and that many have a MERV number and that some are designated as HEPA filters. Here is what those ratings and acronyms actually mean and why they matter. You probably know your furnace has a filter, and you probably also know it needs changing now and then. But what else do you know about it? The fact is, your furnace filter (which is the same as the air conditioner or air filter) is a key component of the HVAC system for keeping you comfortable and in good health, as well as ensuring the system runs properly, all winter long. If you think that flimsy air filter in your furnace is going to clean your home's indoor air this winter or even next summer, think again. 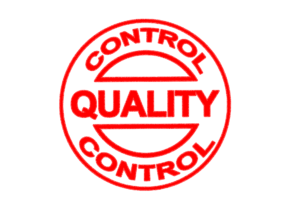 For comprehensive air cleaning in an indoor environment, a very high-efficiency air filter or a dedicated air-cleaning system is needed, or both. 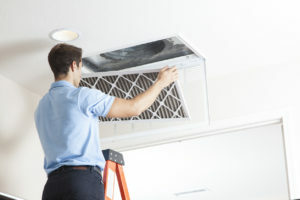 A standard furnace or HVAC filter won't remove anything but the largest particles from the air, allowing smaller particulates such as mold spores, bacteria, dust mites and pollen to pass through the filter and enter household air. Although the selection process can be overwhelming, choosing the furnace filter that best meets your needs is important to keep your HVAC system operating efficiently while reducing airborne pollutants within your home and improving indoor air quality (IAQ). 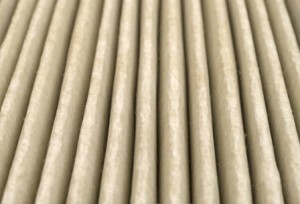 Do You Know When to Change Your Furnace Filter? If you find yourself sneezing and notice dust bunnies multiplying in the corners, it's probably time to change your furnace filter. The filter is your first line of defense against airborne dust, mold spores and other particles, and changing it regularly is one of the best things you can do to boost the efficiency of your heating system. Do you know which air filter MERV ratings are right for your needs? If not, or if you're not quite sure what MERV means, chances are you're using an inefficient air filter for your A/C, heat pump or furnace. Choosing a filter with the right MERV rating can help you stay more comfortable and save money despite the Fort Wayne area's challenging continental climate. 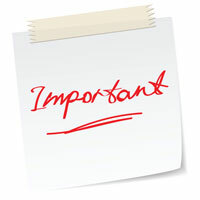 Your Air Filter is Important: Have You Changed it Lately? Having an air filter functioning at a high level is crucial if you want your home's HVAC system to function smoothly and effectively. It’s a small and simple maintenance job, but is necessary if you want to keep your energy bills down and your comfort level up. It’s amazing how the things you can’t see in your home’s indoor air can have the most impact on your health and comfort. Dust mites, pet dander, pollen and mold spores can easily make your home a miserable place to be if you’re sensitive to allergies or have asthma. If you’re one of the 50 million people in the U.S. suffering from allergies, a high-efficiency particulate air (HEPA) filter can mean the difference between misery and relief. With indoor air pollution listed by the U.S. Environmental Protection Agency as one of today's top five environmental health risks, this is a problem that homeowners should not ignore. Air filters for your cooling and heating systems are a popular solution but not all air filters are created equal. What should you look for in an air filter, and how can it boost air quality in your home? When keeping your electric bills low and your indoor air cleaner in the summer are important, pay attention to your air conditioner filter. While it's the least expensive component inside your cooling system, it's one of the most important. The filter traps the airborne particles that could otherwise wreak havoc on your equipment and drive up energy bills. Although every forced-air heating and cooling system utilizes some sort of air filter, the first function of these devices is to protect your equipment from large particulate matter – not to improve indoor air quality. But over time, improving air quality has become a greater part of what most homeowners expect out of their HVAC air filter. Here's a quick guide to choosing and using air filters that provide your home with both benefits – an efficiently operating cooling and heating system and improved indoor air quality. 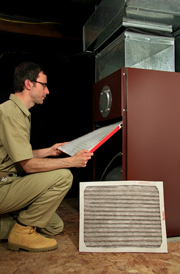 The air filter for your HVAC equipment is one of the most important components of the system. It keeps the blower components clean and affects the quality of the air you breathe indoors. Just as different types of HVAC equipment carry ratings for efficiency, so do air filters, and knowing about the options can lengthen your system's life and improve indoor air quality. Hidden away inside your Indiana home's HVAC system, your air filter performs an important job. To do that job well, though, the filter must be clean. Ensuring your system is equipped with a clean filter provides you with a number of benefits.